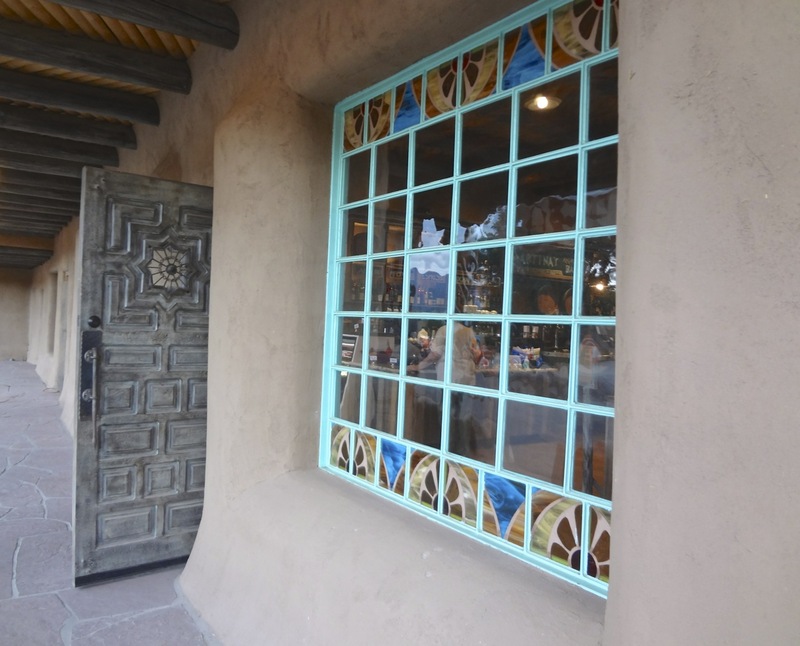 For seven years visitors to the famed San Francisco de Asis church south of Taos saw a massive, achingly-slow renovation in progress across the street and wondered about its future. The multi-million dollar project finally came to an end last September with the opening of Old Martina’s Hall, a restaurant for breakfast, lunch and dinner, and a facility for special events, live music, dance hall, meeting and workshop rooms. 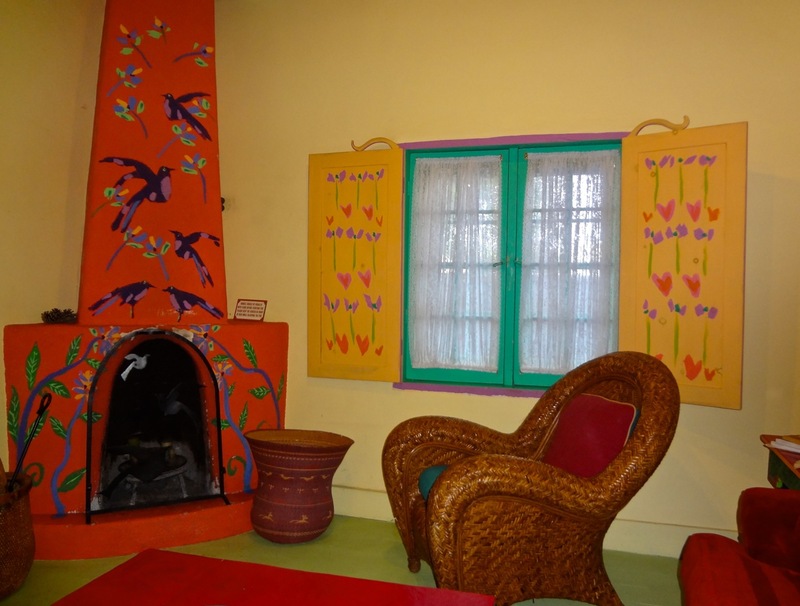 Thick adobe walls and the massive vigas above the great hall are original to the Ranchos fortress dating back to 1769. All settlers were required by the Spanish Governor to live within the two acre Ranchos Plaza to protect against attacks by raiding Comanches. The neighboring much photographed and painted church was built in 1812. We stopped for dinner last night and were awed by the historic property. Although the great hall was not in use last night we looked up to the soaring ceiling and marveled at how the enormous logs were raised into place and their continued strength today. The spacious dining room reflects traditional New Mexico design, such as a corner kiva fireplace ,combined with simple contemporary detail. 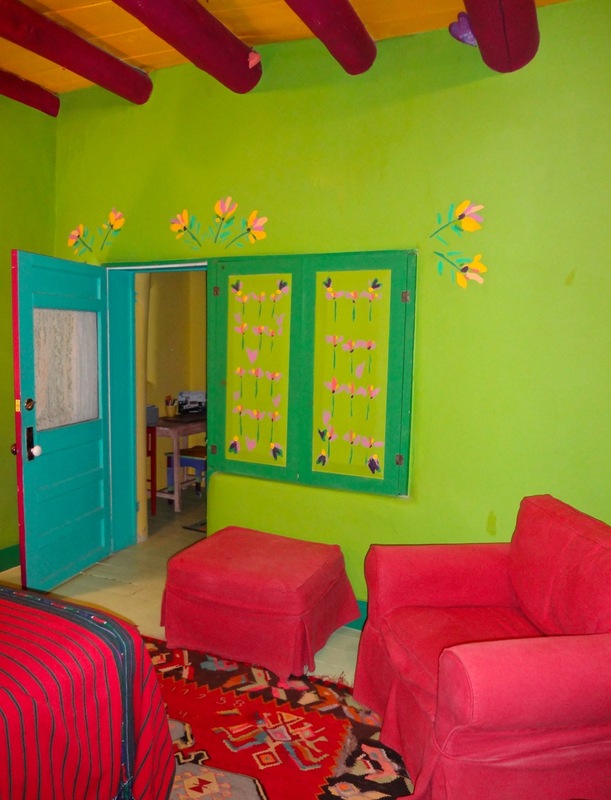 Banco seating along one long wall was surprisingly comfortable with the multitude of turquoise-colored pillows adding a dash of color to the surrounding earth tones. We were greeted by our cheery and attentive waitress, Pamela. 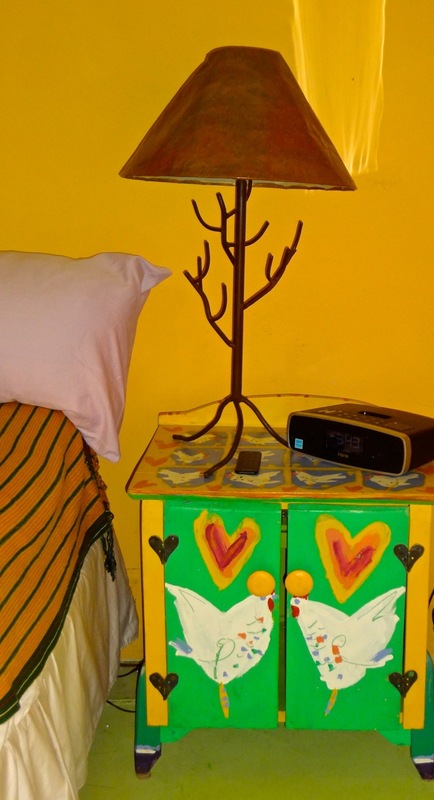 She later told us, “I love working here,” which was evident in everything she did. 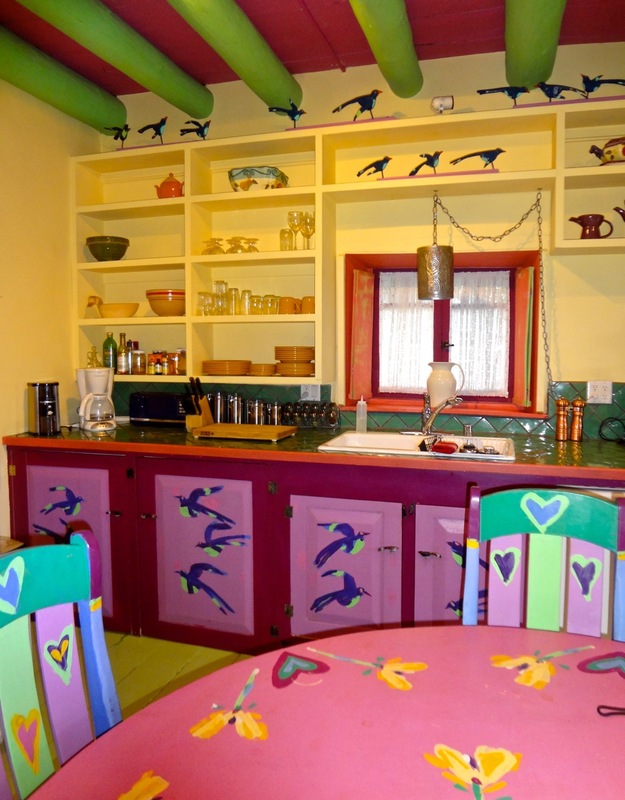 While many of the menu items have a Southwestern overtone this is not a Mexican restaurant. 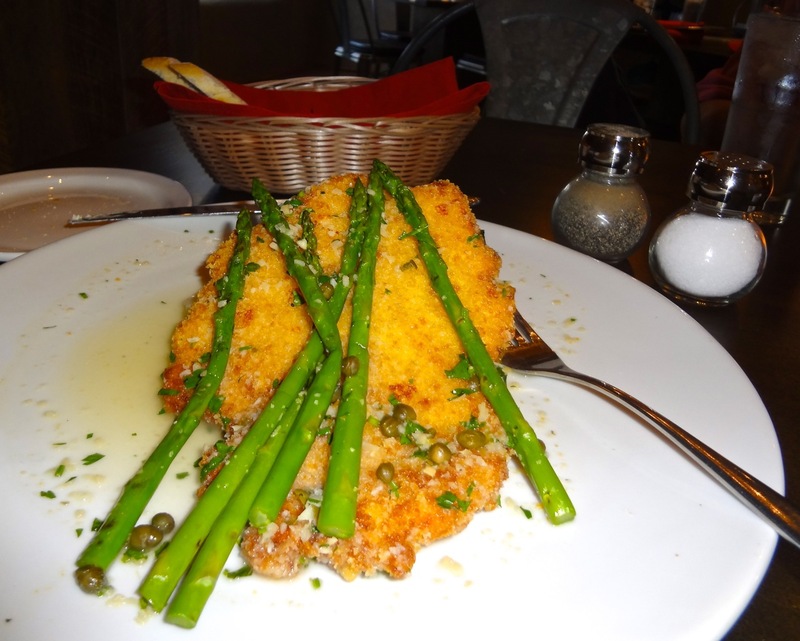 I selected chicken schnitzel with a lemon butter caper sauce, accompanied with fresh asparagus. Generally served with frites I could substitute either the mashed or fingerling potatoes. 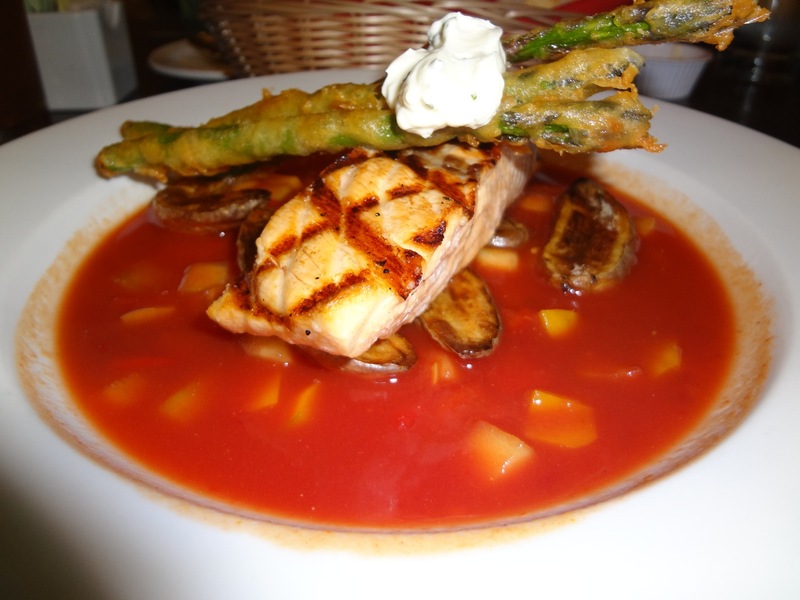 Bob chose the grilled Atlantic salmon served atop a gazpacho sauce with roasted fingerling potatoes and topped with spears of tempura asparagus. He didn’t leave a single bite. When it came time to see the dessert tray we were once again awed by the selection and presentation. 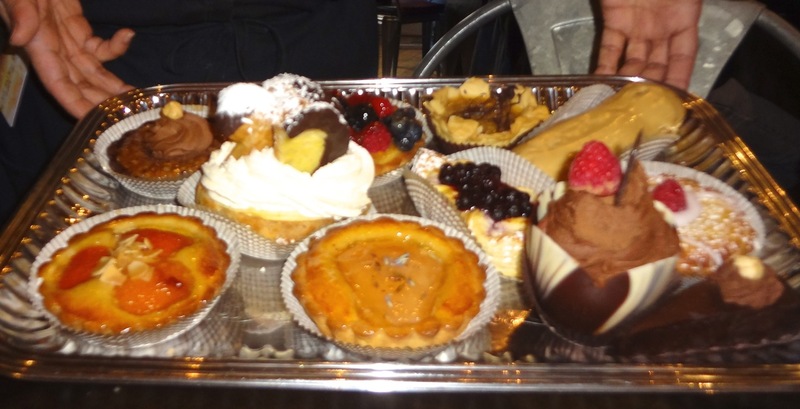 An European pastry chef begins each day at 3:00 am to create the assorted, decadent treats. This was not a night to share one dessert. Bob opted for a fresh apricot tart. 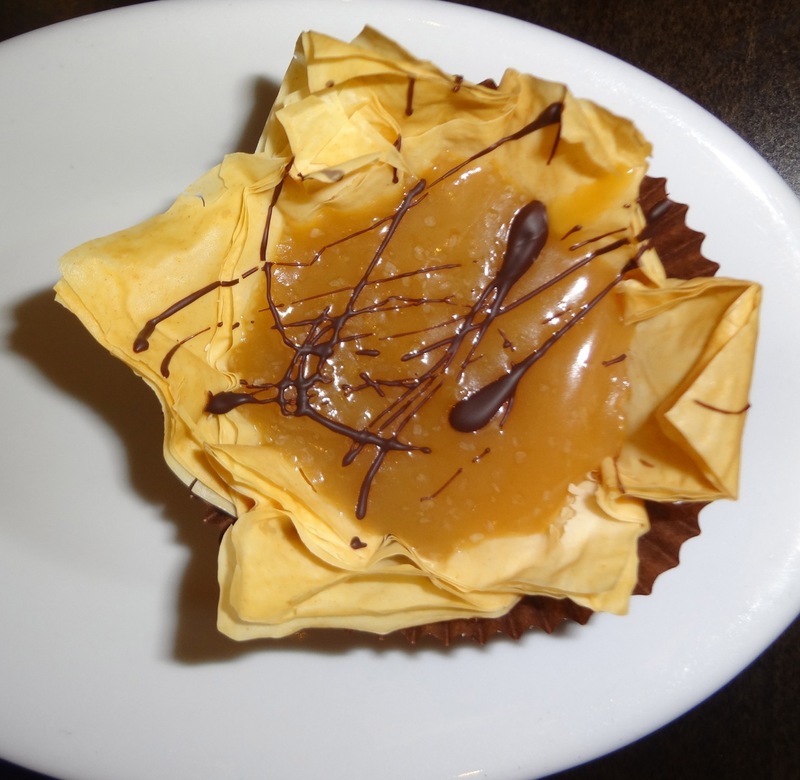 My piece de resistance was chocolate ganache in a phyllo pastry cup topped with creamy sea-salt caramel sauce. OMG! Heaven, but extremely rich. I actually had to box some for a bedtime snack with a tall glass of cold milk. 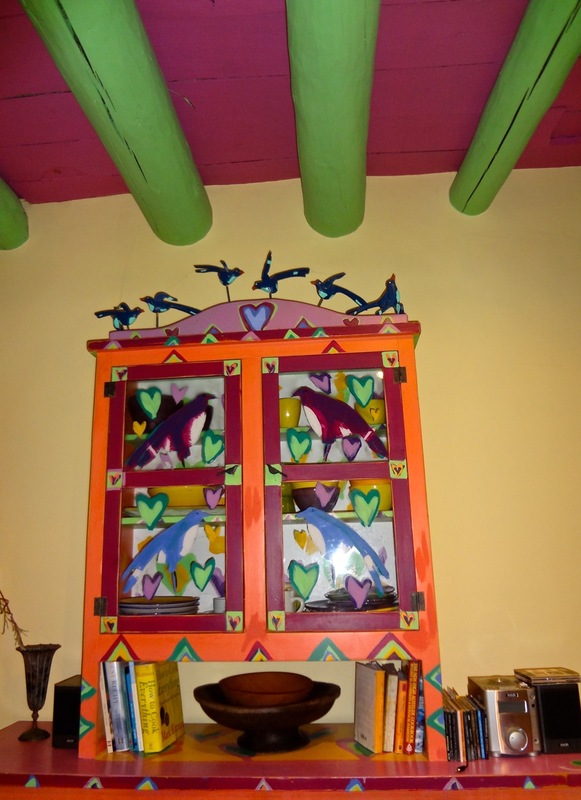 During our current stay in Taos I will definitely return to try the breakfast menu and Old Martina’s Hall’s pastry case will be a temptation every time I pass the historic landmark serving modern day tastes.